Children with allergic rhinitis is often chronic. 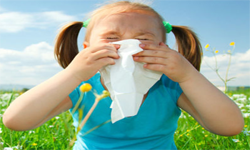 When children with allergic rhinitis will be nasal itching, nasal sneezing, nasal congestion, snivel, running nose. 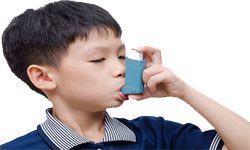 Asthma usually occurs in any person typically can observe with tight chest and wheezing, a dry hacking cough and shortness of breath especially with exercise. 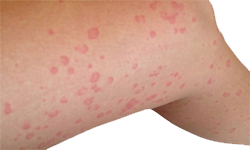 Urticaria – also known as hives, weals, welts or nettle rash – is a raised, itchy rash in skin. It may appear on one part of the body or be spread across large areas. 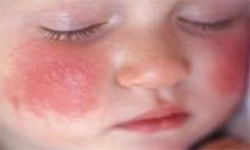 Atopic dermatitis is a chronic, non-contagious disorder that causes skin to become inflamed (itchy, scaly or flaky). It is connected to allergies, since allergens can trigger or worsen the inflammation. 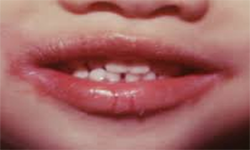 Angioedema is swelling that happens just below the surface of the skin, most often around the lips and eyes. When you have an allergic reaction, your body produces histamine, which causes blood vessels to swell. 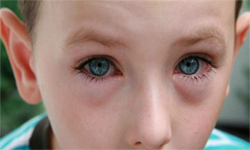 When your eyes are exposed to substances like pollen or mold spores, they may become red, itchy, and watery. It refers to eye inflammation resulting from an allergic reaction to substances like pollen or mold spores.